Irene (San Francisco, United States) on 5 June 2017 in Architecture and Portfolio. Photo taken June 2, 2017. I heard for the past 6 months the owner tried to sell this place, rent went sky high. Now this place is being retrofitted. Business was appreciated, sad no-one bought the place. I would shop there, but you locked the gates on me! 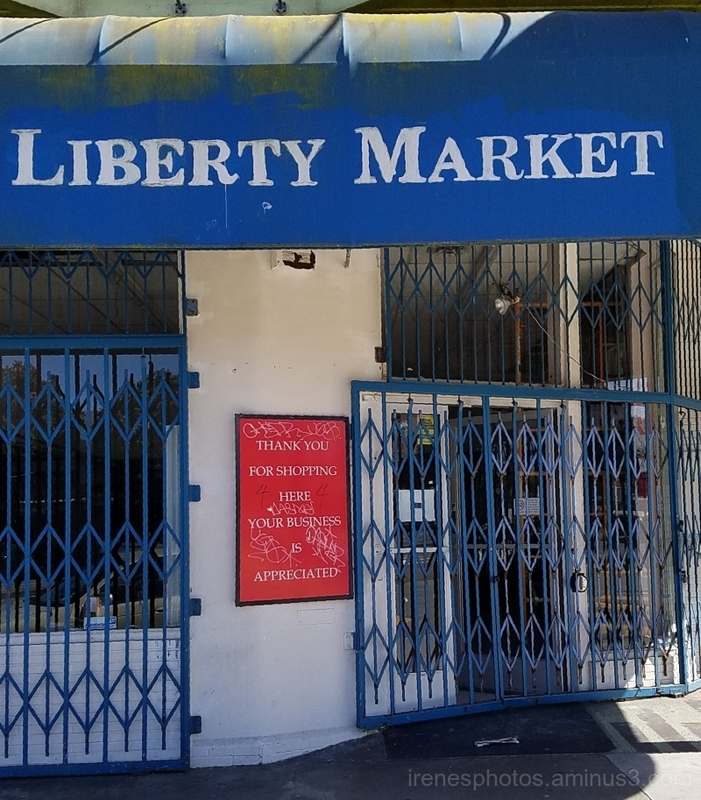 Liberty market is safe at night. Impressive and secure doors. Hopefully it can reopen and someone can appreciate your business again.